Enhance and refresh current employee knowledge or accelerate the learning curve for new employees with SAFLOK™ System 6000™ training CDs. 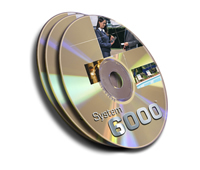 The two-CD set contains step-by-step instructions for operating System 6000, enabling both property managers and employees to learn at their own pace. It is an excellent tool for initial training of new employees, as well as for periodic review with existing employees. With the click of a mouse, the menu-driven program allows you to easily access specific sections or review the entire program. Each of the training programs covers areas specific to property managers and property employees, from an overview of the SAFLOK System 6000 to lock features to making guest keycards and encoder troubleshooting. Everything you need to know about the successful operation of System 6000 is contained on this two-CD set.